ITOCHU, a leading Japanese trading house with business interests and holdings worldwide, partnered with Moixa in order to deploy their own SmartStar Energy Storage System hardware to customers in tandem with Moixa’s GridShare Client service. SmartStar is an advanced 10kWh storage system that also provides whole-home backup services in case of power cuts or disaster scenarios – especially significant in an earthquake zone. ITOCHU are deploying thousands of units per month and have a waiting list of customers. 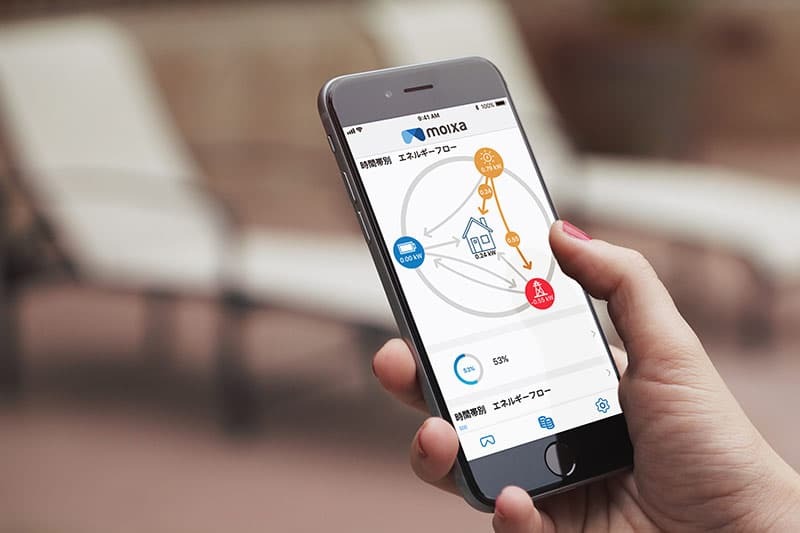 Moixa has been working closely with ITOCHU to integrate their customer on-boarding process to the GridShare platform, enabling efficiencies in managing the life cycle of customers, designing and automating processes and increasing visibility of customer status. We have also been creating customised and localised GridShare portals, dashboards and client apps for ITOCHU. Via these, they can understand the value they are delivering to their customers, obtain valuable reporting and be alerted to particular conditions on customer systems; while their customers understand and engage in their energy flow and savings with live data and regular feedback.